‘Explorers Wanted – Just forty intrepid travelers required to join an annual eight-night expedition to The Legendary Cape Churchill on the Hudson Bay. Applicants must be tough, flexible and prepared to withstand -30◦C arctic winds, possess an outstanding sense of comradeship, willing to live in shared quarters and above all be passionate about wildlife, the planet and an avid photographer. Rewards are great – face to face encounters with majestic polar bears, sleep under the magical Northern Lights and capture images worthy of the pages of National Geographic. Only the truly adventurous need apply’. This advert isn’t exactly how I heard about Frontiers North’s unique expedition to Cape Churchill but it’s how I imagine this voyage could have been advertised if we time traveled back to the late 19th century, to a time when Europeans first sailed to and explored this magnificent corner of Canadian sub-Arctic. Even by today’s standards, now that much of the world has been ‘discovered’, the expedition to Cape Churchill is still a very unusual trip. 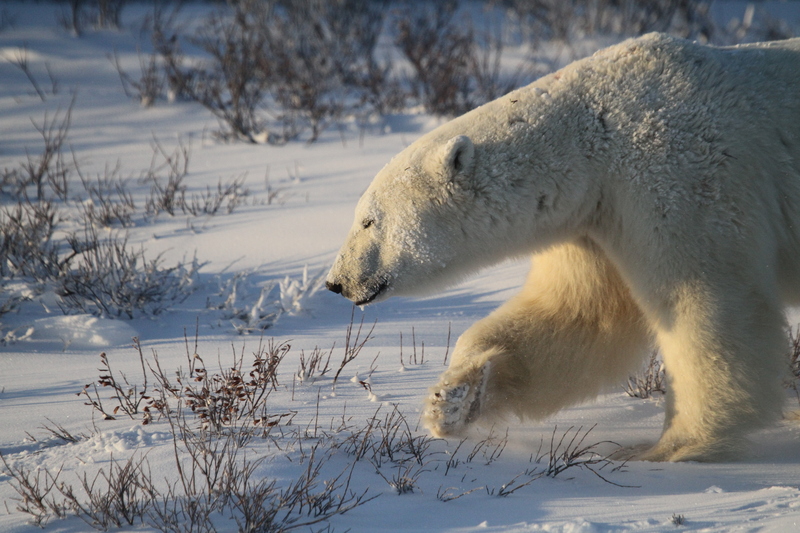 Permits only allow up to forty guests a year to access the Cape located at the northern tip of Wapusk National Park and I am one of them – traveling as part of a convoy of professional and amateur photographers, pure wildlife enthusiasts, film crews from Japan, Google Earth and Polar Bear International (PBI) not-for-profit volunteers. If nothing else, it’s a fascinating mix of wildlife enthusiasts all looking to come into contact with and document, the king of the ice, the Polar Bear. Wapusk National Park sits near the remote frontier town of Churchill, on the edge of the frozen Hudson Bay tundra. 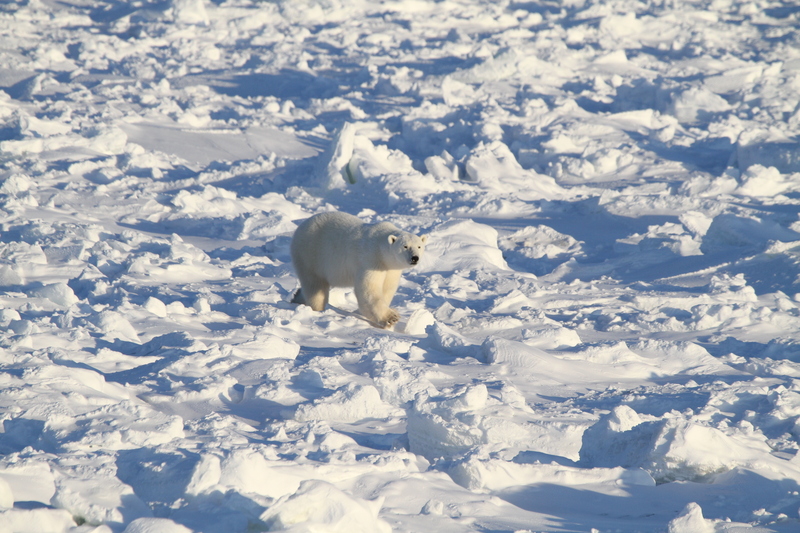 Wapusk, the Inuit Cree word for White Bear, is home to one of the world’s largest known Polar Bear denning sites, granting Churchill the title of “Polar Bear capital of the world”. 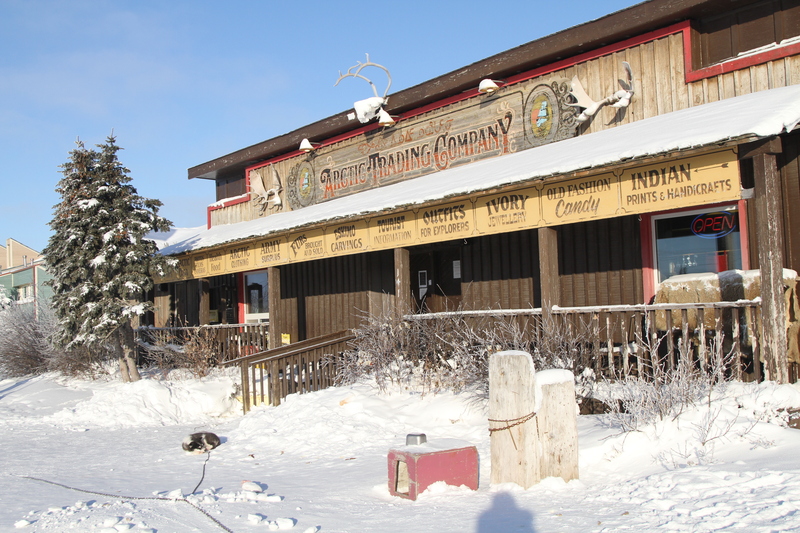 Churchill town itself has no roads in or out, it’s a quirky tight-knit community – visit the Eskimo Museum for an insight into Inuit Art; the Trading Post for hand-made fur-lined moccasins to keep your feet snug and Gypsy’s cafe for warming sweet treats and a chat with the locals. If you think Churchill sounds remote, Wapusk is raw, untouched nature where there are no roads, just open tundra and arctic snow storms. On 17 November, temperatures are averaging minus-twenty Celsius and ice is starting to form on the Hudson Bay. The ice floes provide the hunting ground for the Polar Bears who live off the blubber of Ring Seals. The bears require the ice to hunt – despite their size and weight they are adapted to teeter across ice floes and wait for the seals to emerge at their air holes.The bears migrate to the Cape from all areas to get out onto the ice, and where we will set up camp is at the converging point of bears on the Western Cape. It’s a long awaited time of year for these bears, the extended summer bought on by climate change is coming to an end, and they are getting ready for the hunting season. Unlike their closely related cousin, the Grizzly Bear, Polar Bears do not hibernate in the winter. It is on the ice that they are king. During the summer when they cannot hunt, they go into a kind of ‘walking hibernation’ to slow their metabolism and enable survival until winter comes around again. They are truly remarkable survivors. Frontiers North has a fascinating history related to intrepid explorers, and researchers who came out to the Cape over 30 years ago. 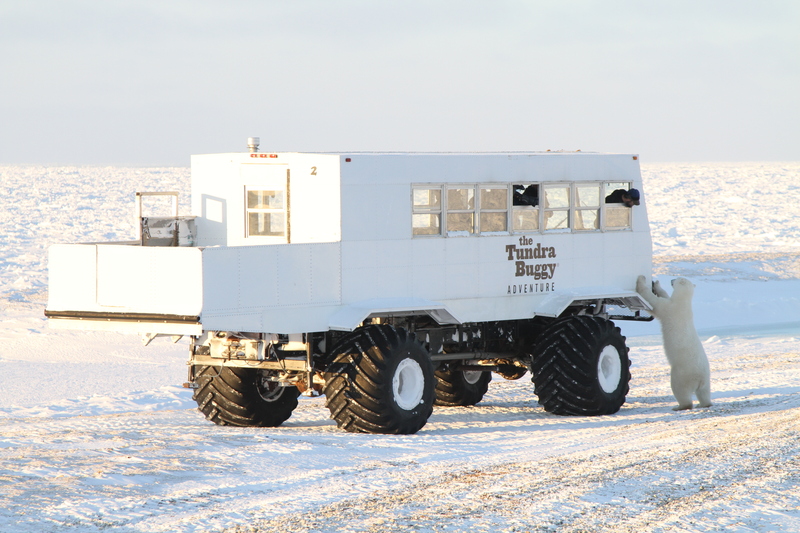 This lineage of Churchillian’s created the Tundra Buggy, a vehicle known for its ability to navigate the unforgiving tundra and get visitors as close to polar bears in the wild as humanly possible. From the buggy, Frontiers North engineered the concept of the Lodge to enable people to stay out on the tundra longer and increase their polar bear encounters. A remarkable piece of ingenuity, the lodge is much like a train consisting of carriages that provide sleeping quarters, a dining cart, a lounge for presentations and wine hour(s), and staff quarters. They link together just like a train does, and it operates much like a moving tundra village, designed to leave no trace; no guest ever touches down on the snow. While Polar Bears may look beautiful, especially when they put their front paws up on the side of the buggy and show a little ‘buggy love’, they are apex predators, which goes someway to explaining their general lack of fear. 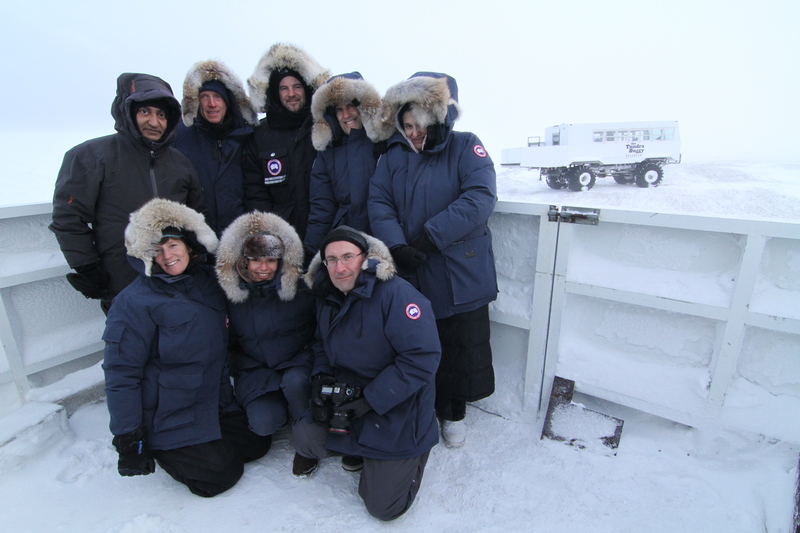 What makes the Legendary Cape Churchill expedition so unique is that I was part of a group of just 27 visitors to access the Cape in 2013, sleeping under the arctic sky, surrounded only by ice, snowstorms, polar bears and my fellow explorers. 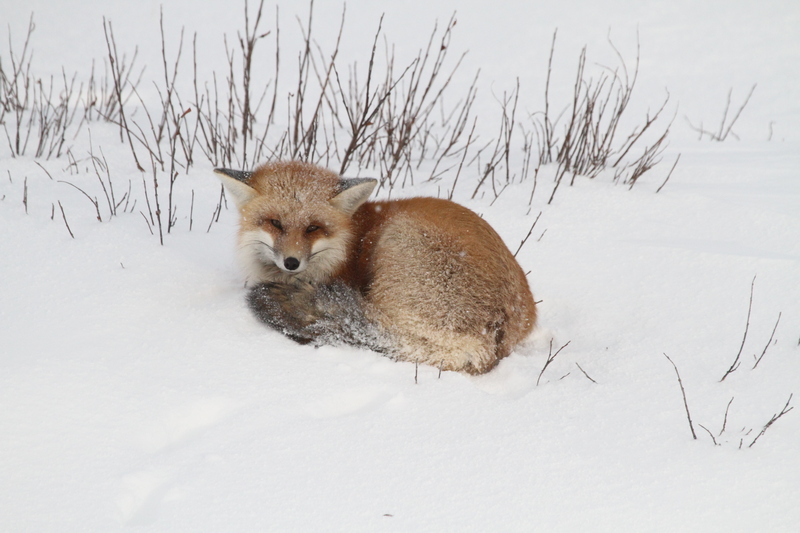 Each buggy allowed just 7 people in it, creating prime photographic opportunities of wildlife beyond Polar Bears, to close encounters with elegant arctic foxes, snowy owls and arctic hares. Our guide was enthused and ready to go from sunrise to sunset to ensure the best viewing opportunities, light, angle for photography, and an essential good sense of humor. We were also part of a 16-hour voyage that involved moving a small village from Polar Bear Point to the Cape. It was at times an excruciatingly slow journey over the ice, however, bar one carriage nearly disappearing through some softer ice; it’s a real experience of what can be achieved in the harshest circumstances. This is something that anyone considering this expedition must know, the weather rules everything, but as the saying goes ‘high risk, high reward’. 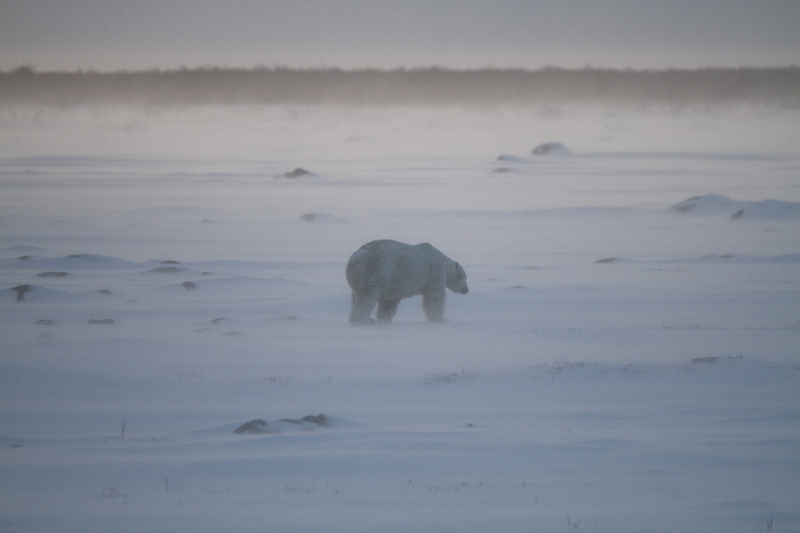 Our home on the middle of the tundra was as remote as it gets, being disconnected from all communications for eight-nights was a real blessing and a chance to connect with nature and with my fellow travelers. I think I probably gained the most out of everyone there – I started with no photography knowledge and came away with a whole new photography vocabulary, some incredible close-up shots and a new found passion for photography. 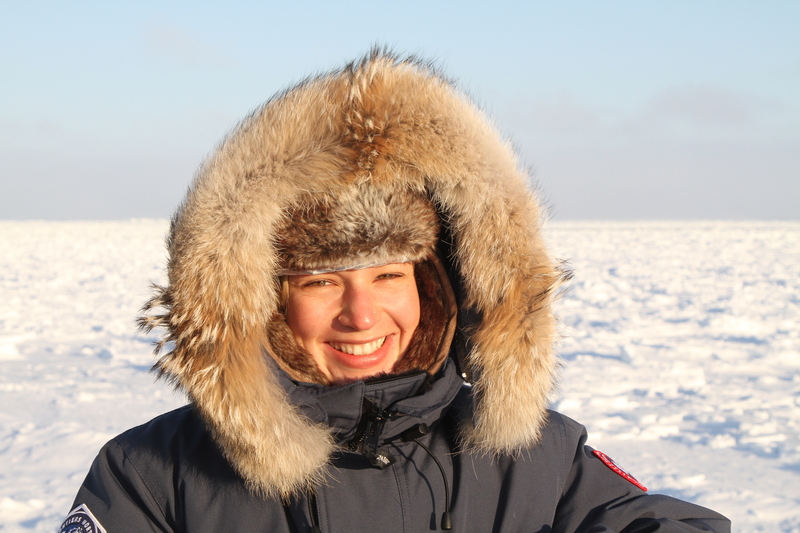 I also came away with incredible memories and stories, a full belly of excellent home-cooked food, new friends and email pals, and most importantly, a new found understanding of the North, climate change, Inuit culture and a new place in my heart for the ultimate survivors – the Polar Bear.